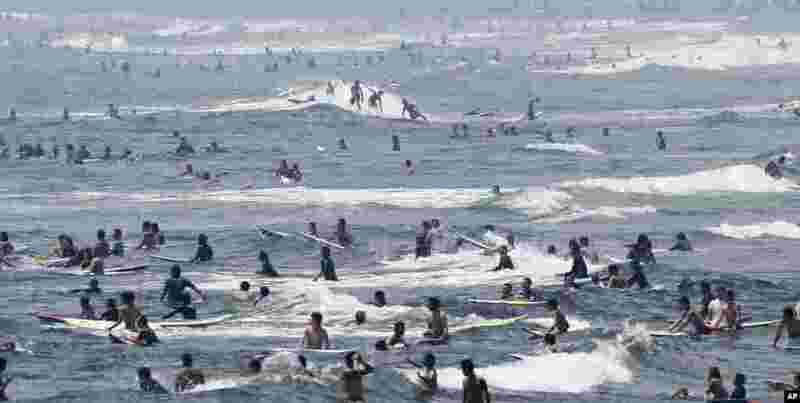 1 Surfers ride waves at Shonan beach in Fujisawa city, west of Tokyo, Japan. Heat wave continues through out Japan as temperature sores to 35 degrees Celsius (95 degrees Fahrenheit) in the Tokyo metropolitan area, according to the Meteorological bureau. 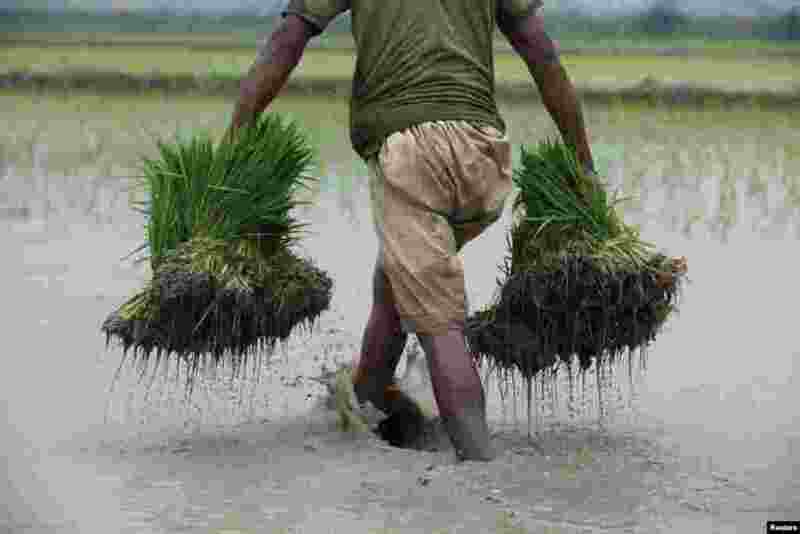 2 A farmer carries bundles of rice seedlings to be planted, on the outskirts of Lahore, Pakistan. 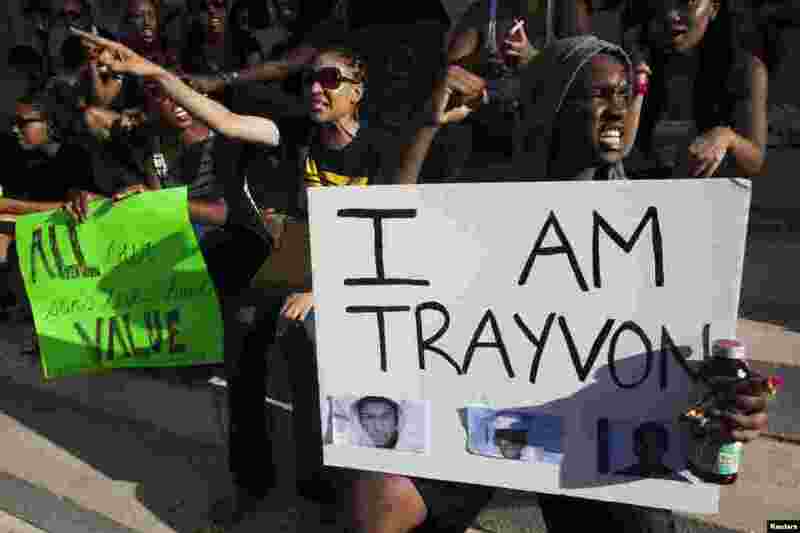 3 Protesters rally in New York's Brooklyn borough, in response to the acquittal of George Zimmerman in the shooting death of Trayvon Martin trial, July 14, 2013. Zimmerman, cleared by a Florida jury of six women, still faces public outrage, a possible civil suit and demands for a federal investigation. 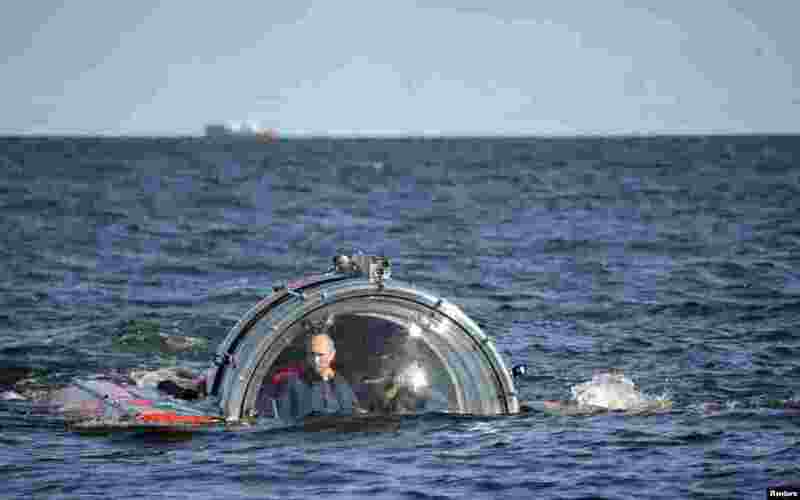 4 Russia's President Vladimir Putin (L) is seen through the glass of C-Explorer 5 submersible after a dive to see the remains of the naval frigate "Oleg",; which sank in the 19th century, in the Gulf of Finland in the Baltic Sea.